Market Steak – Pork Chop – Ground Beef Lamb Chateaubriand – Thai Coconut Sausage. Market Steak – Pork Chop – Rack of Lamb – Ground Chuck – Chicken Breast – Thai Coconut Sausage – Bacon – Lamb Chateaubriand. The Premium Box is perfect for those that like smaller portions and a wide variety of cuts in their subscription. 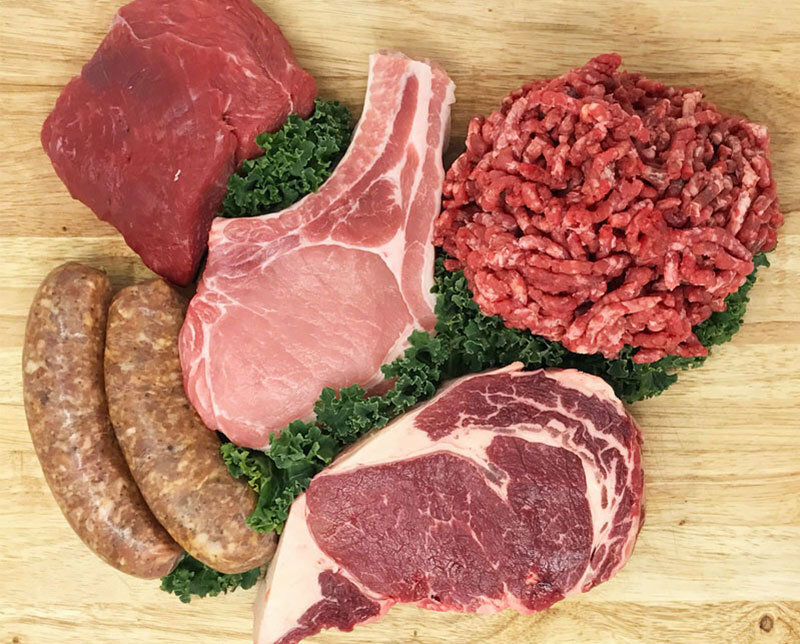 Individuals, couples and small families will find an ever changing selection of all our meats in portions meant for one or two. 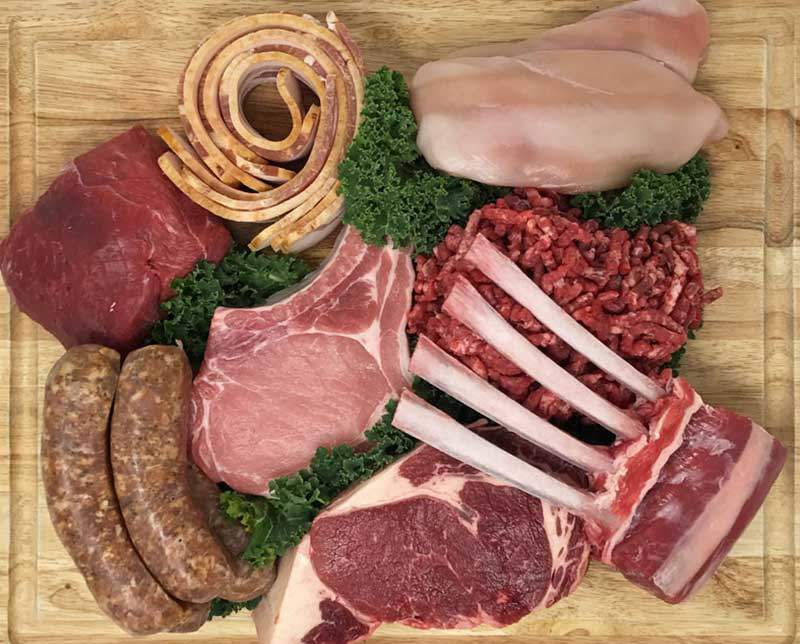 Beef, pork, lamb and chicken will all be included at times, as well as our incredible bacon and sausages. What Might Be In the Premium Box? We ask that you make note of your requested pick up schedule and make sure you pick up on that date. We ask that you give us as much notice as possible if you are unable to pick up on schedule. You can do that by emailing us at adam@vicfarmmeats.com. If you need to cancel a box, we require 3 days notice. We will hold any box not picked up for one week. In the event that a box is not picked up, we will refund the box charge minus a $25 restocking fee. We hate doing that! If you have made a 6 month commitment, Thank You! Since you will enjoy the extra 10% savings, there are a few extra items to be aware of. Communication is key! Let us know ahead of time if you need to adjust your pick up schedule as the above rules apply to you also. Any box not picked up within a week will be restocked and the member will be charged the $25. In the event that you wish to cancel prior to the end of your commitment, you will be billed for the LESSOR of the balance of your commitment or the amount you saved by being a member.